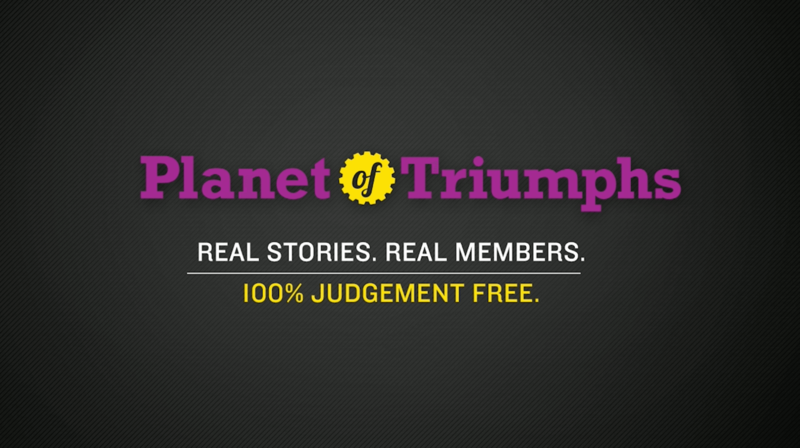 Join Planet of Triumphs to share your own triumphs, get updates, create custom feeds and more! Thanks for posting! Your latest video Triumph will appear in your feed as soon as it finishes processing. And yeah, we're excited already! Our Planet is an inspiring place where awesome members make great things happen every day. Big things, little things, lots of in the middle things, and Planet of Triumphs is here to help us celebrate and share them all. THAT'S ALL ABOUT ELEVATING EACH OTHER. Are you sure you want to flag this as inappropriate? Planet of Triumphs is all about YOU. Whether you're a Planet Fitness member or you're just here checking out all the great things our members get up to every day, we want you to know that there's a place where you belong! Actually there are more than 800 throughout North America and Puerto Rico, all filled with tons of great equipment, all 100% Judgement Free, and all just $10 a month. Are you ready to write your own story of Triumph and share it with the world? We think so! So join our Planet and start your Triumph today. I agree to the Terms & Conditions and I certify that I am at least 18 years old, or, if I am under 18, I certify that I have obtained the consent of my parent or legal guardian to use this site. You're all signed up. Your first Triumph! Create a profile below so members can learn a bit more about what makes you, you. 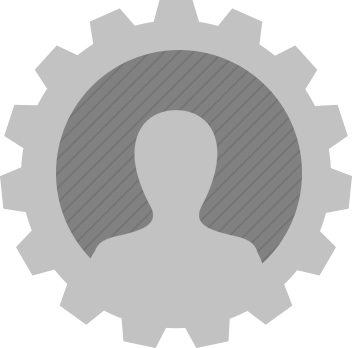 Drag your photo into the dotted circle or click 'add profile photo' below. See some Triumphs you like? Want to see more just like them? Add a Favorite Feed today! Choose a video or photo for your Triumph. Choose one below, click on “use your own” to add one from your computer, or simply drag one from your desktop into the dotted line. You’ll be able to adjust the image once it’s in there. Ready to tell the world about your fitness journey? Try our new storyline feature! It links together multiple posts, so you can share your progress and create a single, inspiring story. Thanks for posting your triumph! Share your triumph with the world. Are you sure you want to cancel your new Triumph? 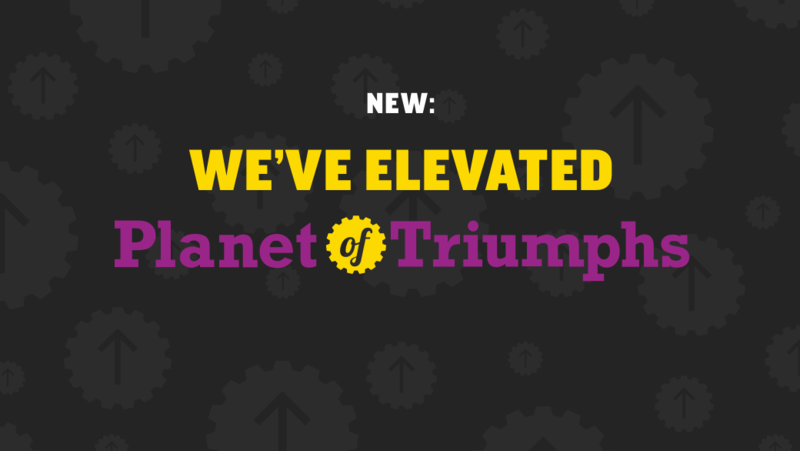 NEW: WE’VE ELEVATED PLANET OF TRIUMPHS! It’s still the same Triumphant, amazing community you know and love, now with a few tweaks to make it even easier to use and more inspiring than ever. So what’s new? For one thing, you might have noticed our slick new design. Not bad, right? We’re excited to introduce Storylines. Now, you can connect multiple posts into a single Triumph, because some fitness journeys are simply too amazing to be contained in a single post. We’ve also improved the post creation flow, so nothing gets in the way of your Triumph. What else? Well, we’ve updated the feed. Actually, we've split it into multiple feeds. FEED - this will include posts from everyone in the community. MY CLUB - this will have posts from members in your home club. ME - this is everything you post (in all its Triumphant glory). ADD Favorite Feeds - these are feeds that you create yourself - so if there's a user that you want to follow, or a popular hashtag that you like, this is where you make that happen. Lastly, any feed that shows up to the right of the ME feed is done by us. If there's something important we want you to post about, that feed will include those posts. We’ve reworked the search function, too. It’s known as Explore now, and it can help you find recommended users and popular trends. And Updates? As of today, we’re calling them Alerts. Not in a scary way, of course. More in a, “hey, this is something you’d love! You should check it out!” kind of way. So click around and let us know what you think! From little things that lead to something big, to those giant accomplishments that we’ve been working so hard to achieve, we think every Triumph is amazing. That’s what Planet of Triumphs is all about. It’s a place where we can celebrate every last Triumph and give each other the big ups we all deserve. Go, us! To keep Planet of Triumphs a welcoming and friendly place, users posting inappropriate content will have their posts hidden and their accounts removed. Oh, and when it comes to snapping that awesome photo or video, just a friendly reminder – our dress code applies online, too! Q: What is Planet of Triumphs? Planet of Triumphs is a place to celebrate and support the awesome things you accomplish every day. It’s an elevating, encouraging and Judgement Free community where all stories are welcome — from everyday successes like taking the stairs instead of the elevator, to the larger, life-changing transformations that you're making happen in Planet Fitness every day. You belong! Creating an account is simple! Just click the 'Sign Up' button and sign up with Facebook, Twitter, or a new Planet of Triumphs account. Q: I’m not a Planet Fitness member. Can I still join Planet of Triumphs? Of course you can! As a non-member, you can view and Elevate posts and follow other users. 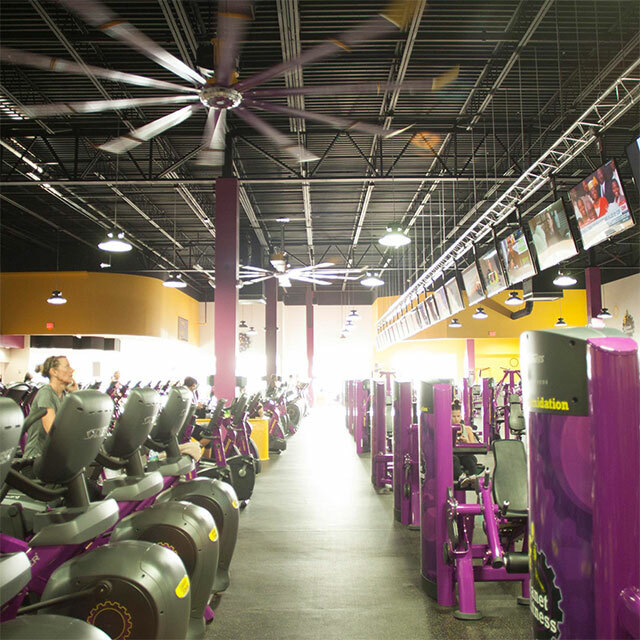 Once you become a Planet Fitness member, you’ll also be able to post your own Triumphs and leave comments on your favorites from other members. Q: How do I post a Triumph? Posting a Triumph is as easy as clicking on the + symbol. From there, choose a preloaded Story Starter or write your own. After that, simply write the rest of the story. Once that’s done, click 'Next' to upload a photo or video, or select from one of our preloaded backgrounds. Happy with your post? You can also post your Triumph to a Storyline or share it on Facebook and Twitter! Q: Can I customize my own Headline? Of course! Simply click where it says, 'Start Writing Here' and start typing. Q: How can I upload my own photo? After you’ve written your Triumph, click 'Next' and you’ll be asked to choose a background. Select the first option to upload a photo from your personal collection. Q: Is there a dress code on Planet of Triumphs? There is. Just like in our clubs, Planet of Triumphs is a place where our members should always feel welcome and comfortable and never feel intimidated. That's why the same dress code that applies in our clubs also applies to photos, videos and any other images posted online. Q: Can I share my Triumph on places other than Planet of Triumphs? Absolutely. When previewing your completed Triumph, you’ll see the option to post on Facebook or on Twitter. You can also click the on the share icon (it’s the one that has 3 dots connected by 2 lines) at the bottom of any Triumph and click on the Facebook and Twitter icons. Q: How large can the photo or video that I upload be? The maximum size for a picture is 100MB. Picture files that work best are JPG or PNG. Videos can be up to 100MB large and we recommend MP4 or AVI format. Keep in mind that the larger the file, the longer it might take to upload, so please be patient! Q: What are the different feeds? Along with the feed that includes posts from everyone, you can now see only your own posts in the 'Me' Feed. Even better, 'My Club Feed' has all of the posts from members who go to the same club as you. You can also create your own Custom Feed, in case you have a favorite hashtag that you want to follow. All members who post with the hashtag that you define (e.g. #running) will show up under this feed. Oh, and one more thing! The Featured Feed is set by us (Planet Fitness) and is where you’ll find all the newsworthy or sweepstakes info. Q: What is the Explore page? Search has become more advanced, so now it’s got a new name and everything. Behold: Explore! Now, we offer up recommended users to follow and show popular hashtags so you can see what’s trending. Q: What is 'Elevating'? How can I Elevate others’ posts? Elevating is a way to show support for another member’s Triumph. The more Elevates a post receives, the more likely it is to show up in other users’ feeds. Q: How will I know if my triumph has been Elevated or commented on? When another user Elevates or comments on your Triumph, you’ll see a (1) in the Alerts section of the site when you’re logged in. Just click on the Alerts button to see what other members are saying about your stories! Q: How do I follow someone? To follow someone, first click their username in the bottom right corner of one of their Triumphs. This will take you to their personal page where you should see a yellow icon of a person and a + sign. Click the icon and the member will be added to your Following list. Q: How can I find out who is following me? To see who’s following you (and how many followers you have), head to your Profile and click Followers. Q: What are the Trophies and how can I earn one? Share your story, get this achievement! It’s as easy as that. For every 10 triumphs you post, your Triumph Achievement will level up. Your story has people talking and that’s what we like to hear. For every 10 comments you get, your Comments Achievement will level up. You’re an inspiration and that’s inspiring to us. For every 10 elevations you get, your Elevation Achievement will level up. Q: How can I earn a Sticker? Big or small, silly or serious, you can earn a Sticker just by being you. Every week, we handpick Triumphs we think deserve a little recognition and a virtual pat on the back. We know it takes time to share your Triumph, and we’re always happy to take the time to show our appreciation. Q: What is the Triumph of the Week and how can I earn it? Each week we’ll select a Triumph we find particularly inspiring. Just like the stickers, we will be paying close attention and personally handpick each week’s winner. Q: Who is able to flag posts? Anyone and everyone is able to Flag a user. Only flag content that you feel doesn’t belong in the Judgement Free Zone. Q: Why have I been flagged? Triumphs can be flagged for a number of reasons. 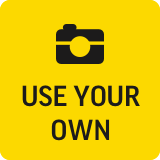 As a general rule, if a photo, video or story doesn’t belong in the Judgement Free Zone, it doesn’t belong on Planet of Triumphs. Reset email has been sent. Please check your email inbox. Sign Up Members. Cool, huh? Fill out the fields below and we’ll send the member an email to finish the process. And that’s really all there is to it. Just be sure to fill out all the fields (especially the email one) so we can send them the log-in info later. Thanks! This member should receive an email momentarily. Have a question or a comment? You’ve come to the right place! Click the category below that best matches what’s on your mind and we’ll get back to you as soon as possible. Thanks! Have a question about how to post a Triumph? Having technical problems? Want to tell us about your experience on the site? Anything related to Planet of Triumphs goes here. Want to change your billing information? You have two options. You can visit your home club and have the front desk staff assist you, or you can log in to your online account and update your information by clicking HERE. If you’d like to report an incident, ask about membership policies, or talk about anything else related to your Planet Fitness membership, step one is clicking HERE. Have a question about becoming a member? 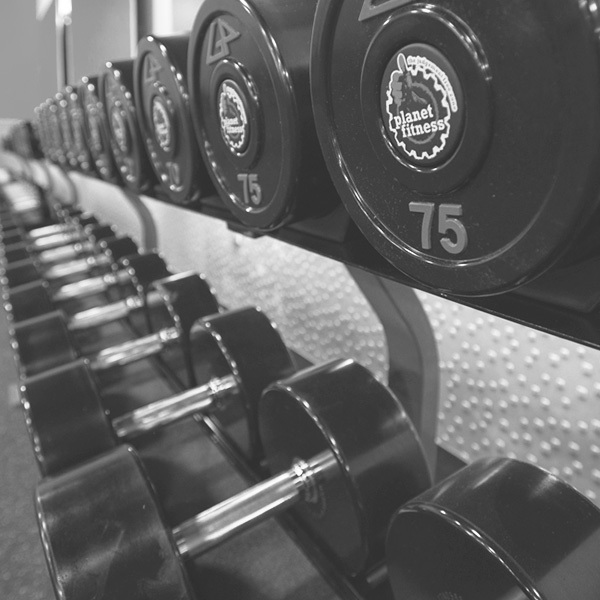 Want to tell us about your experiences in Planet Fitness? Welcome to your category. Also, if you’re unsure where your question or comment belongs, send it here. ​You need to be logged in to post, share or elevate. Are you sure you want to delete your triumph? Your message is on its way. We’ll get back to you soon!